Size: Shell up to 40 mm in maximum dimension. Distribution: Endemic to Australia; southern Qld southwards and around southern Australia to south-western WA. 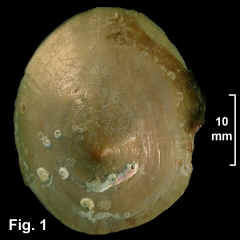 Habitat: Lives from the intertidal down to at least 165 m, occurring in small numbers in intertidal pools in April to May each year (Burn, 1989). Uncommon in NSW. 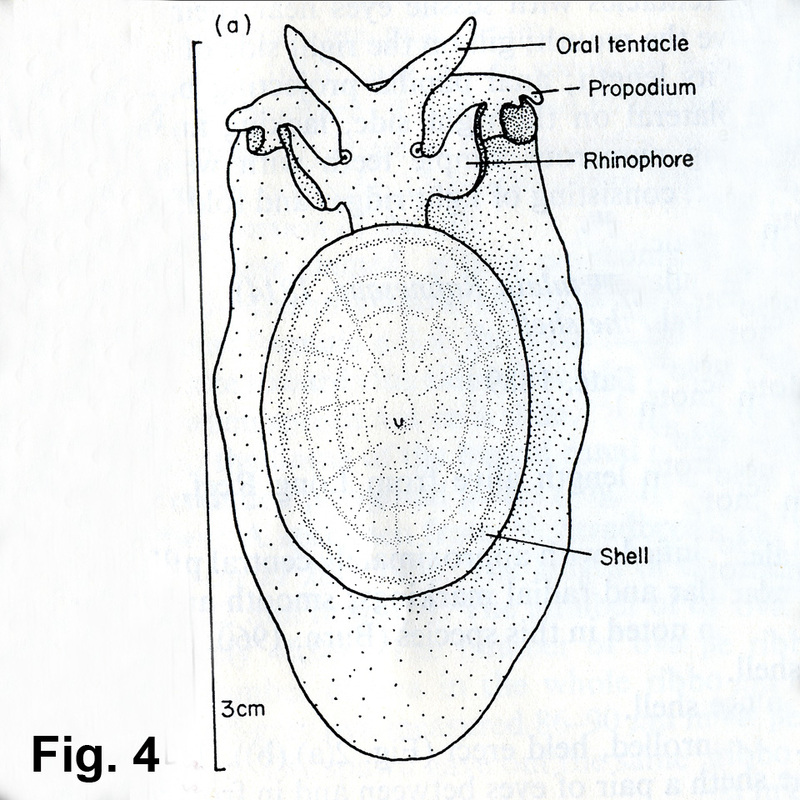 Comparison: The shell is similar to that of Umbraculum umbraculum, but the animal is very different; yellow in colour, without pustules, and with a large head and prominent tentacles and rhinophores. Figs. 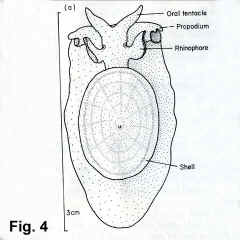 1, 2: Exterior and interior of shell. (Kurnell, Botany Bay, NSW C.107888). Fig. 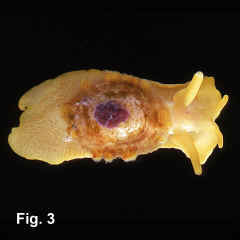 3: Live animal (Photo Bill Rudman, Australian Museum). Fig. 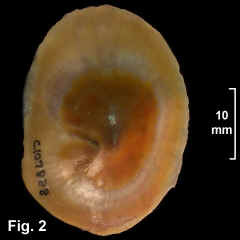 4: Dorsal view of animal (Fig. 2(a) from Thompson (1970)).